The business was formed in 2009 to support organisations to bid and tender for contracts. We have since grown in numbers and now have a directly employed core team of professionals split across our 3 key bid divisions; Bid Writing, Bid Resource and Bid Training. We have experience in both public sector procurement and commercial bidding, which gives us a unique perspective and allows us to maximise our clients success. Our team provide consistency, reliability and allow us to build longstanding partnerships with our clients. We are able to work with our clients, understand their goals and become a key part of their business winning function. 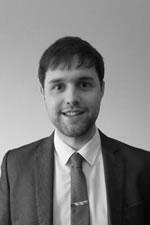 Charles heads and leads all the training at Thornton & Lowe. Charles has a background in commercial, manufacturing, professional services, aerospace and construction, as well as considerable public sector experience. 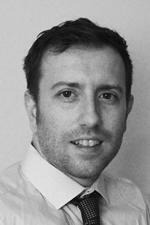 He has been at Thornton & Lowe since 2012 and has been involved in well over 1000 of our bids. Charles runs training workshops and 1-2-1 sessions throughout the UK, whilst also providing support to the bids our team are working on. Charles has delivered over 150 training courses since 2015, with every course receiving positive feedback. However, he’s not a trainer – he is an experienced bid professional, and have been involved in over 1000 of the bids Thornton & Lowe have worked on across a huge range of sectors, from healthcare to rail, asbestos to childcare and facilities management to construction. From this experience, he provides hands on, practical training, advice and support. This is one of the reasons our training is different. Charles was central to the development of our CPD accreditation and ILM approval. Charles works closely with our team of trainers in the development and delivery of our training workshops and master classes. As well as being part of a very small team influencing the largest public sector buying organisation, Charles deliberately takes time to speak with buyers to gain insights and suggestions to help those bidding for contracts. Give Charles a call and he’ll be happy to discuss what you are looking to achieve and how we can best help. 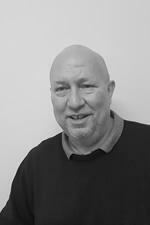 Mark has over 20 years’ experience in recruitment largely supplying the construction and engineering sector. 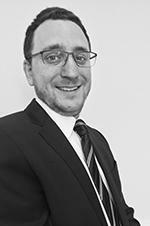 He is Level 3 certified in Recruitment Practice and leads our Bid Resource division at Thornton & Lowe supplying our clients with temporary and permanent bid professionals. This ranges from the supply of Bid Writers and Bid Managers through to Technical Writers, Graphic Designers and Bid Directors. Outside of work, Maria enjoys baking, cooking and holidaying with friends. Chris joined our Bid Resource team from a background of educational recruitment, and has brought with him a range of knowledge from working in large recruitment companies in Manchester. Previous to his four years in recruitment, Chris co-owned and ran a successful print and design agency and was responsible for design, print, social media and marketing. Chris works alongside Mark and primarily sources freelance, fixed-term contract and permanent bid professionals in both private and public sectors. 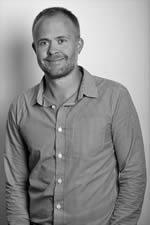 Michael started bid and grant writing after drafting local policy in the social care sector. With a PhD in Performance Psychology and publications in leading journals for Leadership & Change he was able to use his research and analytical skills combined with his understanding of behaviour and eye for detail to produce winning bids. As part of our management review, to ensure we maximise our clients success, he is responsible for providing quality assurance on all our bids. CAT, BSc (Hons), ACCA Part-Qualified Emily Mamana Saiwala, a seasoned finance professional, obtained her accountancy degree at the University of Salford. Emily joined Thornton & Lowe in February 2016. She is responsible for the management of the organisation's support functions, specifically compliance and regulatory reporting which includes preparation of financial reports. She also advises the board in designing and implementing controls within the finance function, along with efficient systems and processes for facilities management, IT and HR. 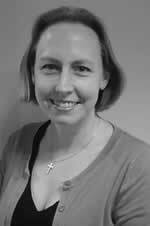 She has over 10 years’ experience working in logistics and consultancy sectors. She strives for exceptional quality, growth and performance. 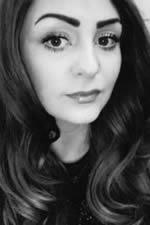 Roxanne joined our team from a background of recruitment and training, she has experience with local training providers and recruitment agencies covering both commercial and industrial sectors. 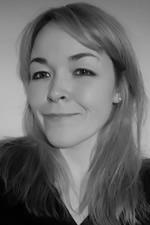 Roxanne works alongside Emily and looks after the HR function at Thornton & Lowe..
MA (Hons) Medieval History Emma achieved a Master of Arts degree in Medieval History from the University of St Andrews. Subsequently, she embarked on a career in customer service, working Front of House in luxury hotels across Scotland. Following a career break to raise a family and fulfilling voluntary roles in her local community, Emma joined Thornton and Lowe in February 2017 as a Marketing Assistant. Her role is to assist with the daily administration of the marketing strategy, including managing social media, preparing content for blogs, building and maintaining relationships with Chambers of Commerce and issuing press releases to relevant publications. Rachel has an English Language and Literature degree from the University of Sunderland. As an experienced sales professional she demonstrates her understanding of language to create persuasive and effective sales pitches by listening to customers’ needs and tailoring solutions to them. As a product of both her degree and experience as a sales person, Rachel can effectively distinguish a target audience and mould language accordingly. Additionally, her persuasive approach to language enables her to strategically highlight and promote a client’s capabilities when writing a bid. Rachel uses analytical skills and her creative flair to adapt a client’s needs into written format. Since joining Thornton & Lowe in 2016, Rachel has worked on projects in industries such as construction, asbestos removal, healthcare and transport. Based in our Bolton Office, Tom has joined our team as an experienced Bid Writer with strong writing skills and an analytical eye. Tom attained a first-class Masters degree in Geography from Lancaster University and initially gained experience in writing and coordinating bids with an IT consultancy firm. With a Geography background, it’s no surprise that Tom has an interest in social value and he is also passionate about helping SME’s to win contracts across government and the private sector. 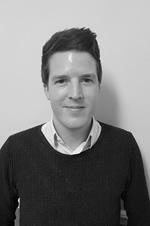 Outside the office, Tom is a keen dinghy sailor and has competed at regional events and even a World Championship. 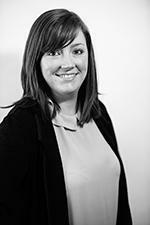 Emma is our most recent recruit to the Bid Resource team. After completing her degree at the University of Bolton, she started a career in recruitment in 2012 within the professional services market. Emma is working with our consultancy team to support our clients to recruit temporary and permanent Bid Writers and Bid Managers. 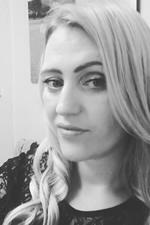 BA Hons Humanities with Creative Writing Jennifer is our most recent recruit to the Thornton and Lowe bid writing team having recently graduated from the Open University with first class honours. 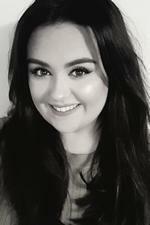 Jennifer joins us from a background in customer service and administration, bringing with her the ability to empathise with client requirements. 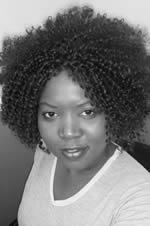 Her degree in creative writing has given her an analytical yet creative eye, ensuring that she achieves a detailed yet persuasive approach to her writing. Since joining Thornton and Lowe in 2017, she has worked on projects in civils, asbestos removal, healthcare and facilities management In her spare time, Jen can be found writing short stories or achieving zen on her yoga mat.